Today’s manicure is simple as can be. A shimmery semi-dark red topped with a multi-coloured multi-sized glittertopper. First two coats of Kiko’s #015. The formula is good and easy to work with. The drying time is really good too. Then a layer of Claire’s glittertopper “Sequins”. 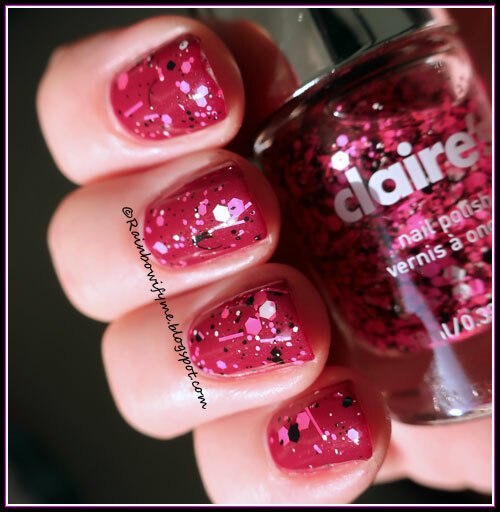 It’s a clear base with pink, magenta, black and white glitters: Hexagons, bar glitter, mini-circles and stuff. Finally a layer of topcoat to even it all out and make the manicure nice and shiny. 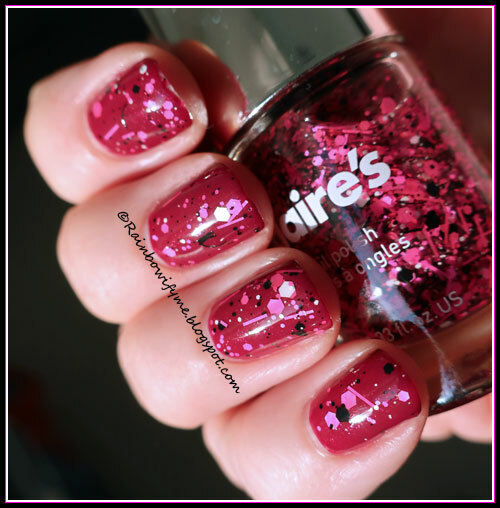 I’m usually not a big fan of bar glitter, but I must admit that I really like this mix of shapes and colours. 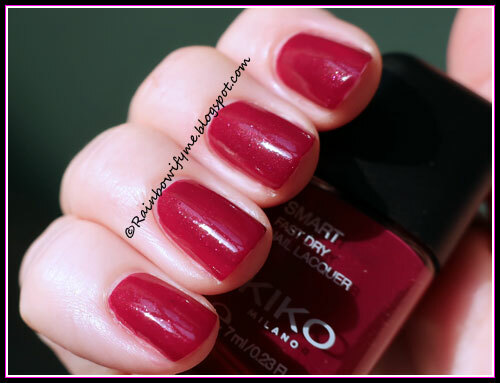 This is Kiko’s #015 alone; two coats and no topcoat yet. The shimmer isn’t very prominent but it’s there and I like it. 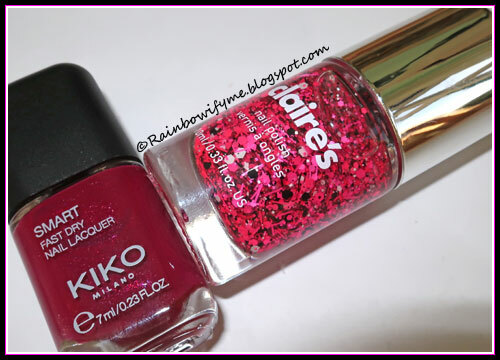 These are the two polishes I played with today. I like this. It was also nice and easy, which is always a plus in my book. Overall impression: Good quality, I like it.